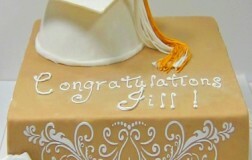 3 tier hand carved cake. 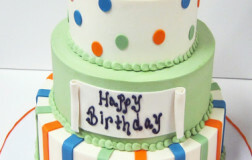 Shown in white fondant finish with colorful fondant stripes. 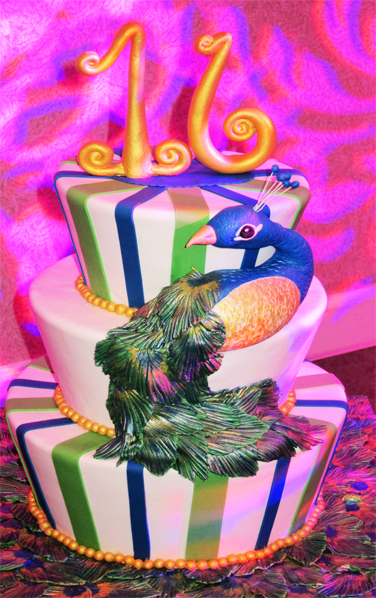 Handmade fondant peacock and over-sized, gilded fondant number 16 complete the cake. 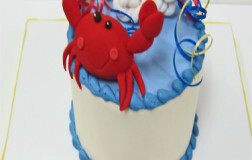 Size, colors, and decorations can be customized. 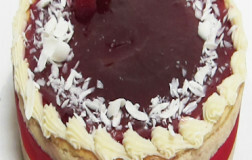 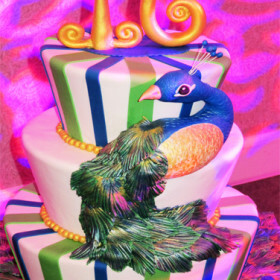 Be the first to review “Glamorous Peacock Birthday Cake” Click here to cancel reply. 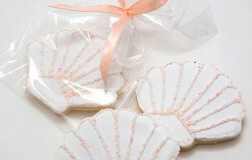 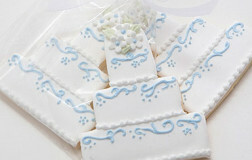 Our handmade and beautifully decorated butter cookie trays are always our best sellers. 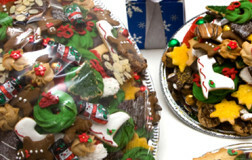 These beautiful cookie trays are available in a wide variety of sizes and are available for shipping. 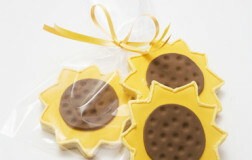 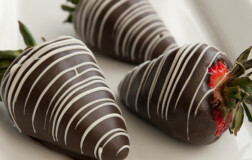 Quantities are limited, so please order early. 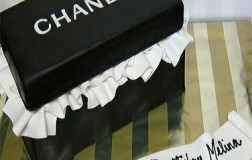 This cake is just exquisite; perfect for the sophisticated bride. 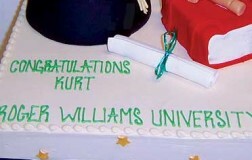 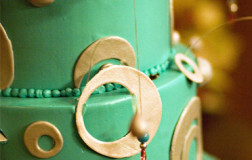 An interesting ombre look; the accents deepen in color instead of the cake itself. 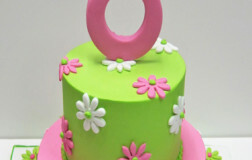 Wow your guests with a colorful first birthday cake complete with a dinosaur! 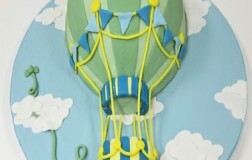 Float up in the air with this whimsical hot air balloon cake. 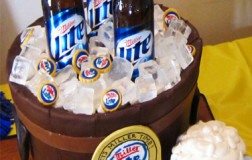 A personalized and individual smash cake for the newly 1 year old! 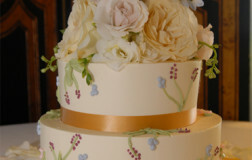 Gold and flowers add a touch of femininity to this cake. 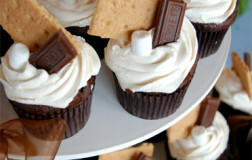 Cupcakes are finished in Vanilla Butter Cream Frosting. 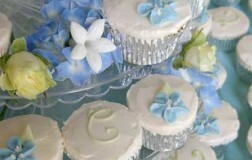 Some are personalized with a monogram initial and some are adorned with butter cream flowers. 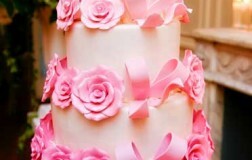 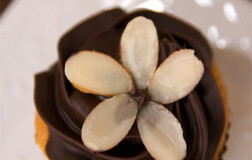 The cupcake tower has fresh flower clusters tying the design together and making the presentation simply elegant.